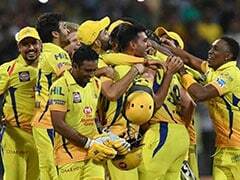 Kolkata Knight Riders (KKR) comfortably beat Delhi Daredevils (DD) by 71 runs on Monday in their Indian Premier League (IPL) match at the Eden Gardens. Sunil Narine (3/18) and Kuldeep Yadav (3/32) ensured KKR kept their cool in the match and never gave the chance to the Delhi side get going. Glenn Maxwell (47) and Rishabh Pant (43) were the only batsmen who gave Delhi a chance. However, after their dismissals, Delhi lost the plot completely and succumbed to a good KKR bowling display. 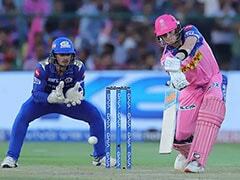 Barring Pant and Maxwell, no other Delhi batsmen could muster a double-digit run figure. Lack of partnerships coupled with poor shot selection by Delhi batsmen gave KKR a much-needed victory. 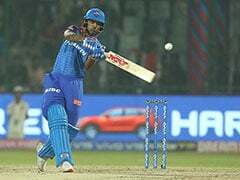 Nitish Rana (59) and Andre Russell (41) powered Kolkata to 200/6 in 20 overs against Delhi in the Indian Premier League (IPL) match at the Eden Garden. After a slow start by KKR, Chris Lynn (31) began hitting the shots to keep the run rate going. Sunil Narine was dismissed for 1 run in the 3rd over. Robin Uthappa took the initiative to hit the big shots and score a quickfire 19-ball 35 runs. Rana played a superb inning and got his fifty. He was ably supported by Russell, who began hitting right from the outset. He hit six sixes in his 12-ball 41 runs. Delhi got back with some decent bowling display by Rahul Tewatia in the last over as they restricted KKR to 200. Trent Boult was the pick of the bowlers for Delhi as he returned with bowling figures of 2/29 and even bowled a maiden over. 23:19 IST: OUT! Simple catch for Kuldeep Yadav. Trent Boult departs for a duck. KKR deserving winners after a convincing rout of Delhi. 23:18 IST: Trent Boult is the new man in for Delhi. 23:17 IST: OUT! Shami departs as Delhi lose their 9th wicket. Simple catch for Andre Russell. What a night KKR are having. DD 128/9 in 13.5 overs, need 73 runs in 36 balls. 23:11 IST: Shahbaz Nadeem and Mohammed Shami are there in the middle for Delhi. DD need 82 runs off 47 balls. 23:02 IST: SIX! Good shot. Shivam Mavi doesn't get the timing of his jump right. Back-to-back sixes for Maxwell. Maxwell is doing his thing now. Kuldeep Yadav under pressure now. 23:01 IST: As long as Maxwell is out there, Delhi will fancy their chances. 23:00 IST: Delhi need 102 more runs to win off 60 balls. 22:47 IST: Kuldeep Yadav is the new bowler for KKR. 22:43 IST: FOUR! Fuller delivery and gets the punishment by Pant. Not a welcming he had hoped ofr. 22:42 IST: Tom Curran comes in for KKR. 22:32 IST: Narine is the new bowler for KKR. 22:30 IST: FOUR! Maxwell uses the pace of the ball and slams it to the offside boundary. 22:23 IST: FOUR! Rishabh Pant at his inventive best. Making the most of the power play. 22:15 IST: Delhi need something special from these two batsmen. A huge target to reach for both of them. 22:14 IST: Shivam Mavi is the new bowler for KKR. 22:08 IST: FOUR! Splendid shot by Shreyas Iyer. Poor bowling by Russell. 22:07 IST: FOUR! Lovely timing and found the gap as well. Gambhir played that shot really well. Too easier ball to a quality batsman. 22:00 IST: Gambhir off the mark with a nicely-timed shot. Good way to get off the mark. 21:59 IST: Jason Roy, Gautam Gambhir open for Delhi while Piyush Chawla opens the bowling for KKR. 21:45 IST: Kolkata Knight Riders post 200/9 (Nitish Rana 59, Andre Russell 41) in 20 overs. 21:44 IST: OUT! Tewatia gets the wicket of Tom Curran on the last delivery. What an over this has been for the leg-spinner. Brilliant move from captain Gambhir. Rahul Tewatia ends the match with figures of 3/18 in his four overs. 21:43 IST: OUT! 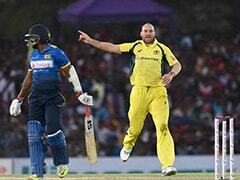 Piyush Chawla, the new man in, aiming to deposit Tewatia in the crowd, dances down the wicket and miscues. 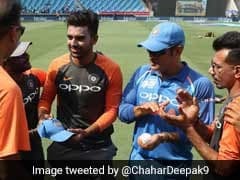 Rishabh Pant calls for the catch and takes it easily. 21:41 IST: OUT!! Rahul Tewatia strikes as Gill departs for six. Kolkata 200/7 in 19.2 overs. Tewatia tosses the ball up and wide, Gill goes for the slice, miscues and Chris Morris takes a good diving catch at point. 21:39 IST: FOUR! Morris ends the 19th with a boundary. The bowler goes down the leg side, Shubhman Gill looking to work the ball, misses but the ball brushes his pads and rolls away for a boundary. 21:37 IST: OUT! Morris bowls slower back of a length delivery, Rana looking to go big, miscues and Gambhir at mid-off takes a good catch. A brilliant innings comes to an end. However, Kolkata still on course for big total. 21:35 IST: FOUR! Nitish Rana is taking the attack to the opposition and it seems he is on a mission. Full delivery from Morris, Rana waits deep in his crease and carves the ball for yet another boundary. 21:32 IST: FOUR! Shubman Gill opens his account with a four. Not a bad ball but a good shot. 21:26 IST: SIX! Again. He is scoring for fun now. He has now reached 41 in 11 balls. 21:16 IST: Last 8 balls 28 runs for KKR. 21:15 IST: SIX! Impeccable timing by Nitish Rana. These two are turning it on. Its raining sixes at the moment. 21:11 IST: SIX! What a shot by Andre Russell. All the way down to the KKR dugout. Powerful hitting by the Windies man. 21:10 IST: Shami is back in the attack. 20:59 IST: NOT OUT! KKR skipper Dinesh Karthik awaits his fate. Review taken. Shami changes his pace, bowls a quicker one. Good use of the DRS by KKR. 20:54 IST: FOUR! Pulled to the on side boundary. Poor bowling but an equally good shot by Nitish Rana. 20:47 IST: Swing and a miss for Lynn. Delhi bowlers have executed their plan well to curb Lynn's shot hitting prowess. 20:47 IST: Lynn and Rana are rebuilding for KKR after Uthappa's loss. 20:45 IST: Mohammed Shami comes into the attack for Delhi in the 11th over. 20:43 IST: NOT OUT! Review taken for leg before. Delhi go for the DRS. Rana awaits his fate. 20:38 IST: STRATEGIC TIME OUT! 20:37 IST: SIX! Nitish Rana smokes it over mid on region. What a shot. Shows what he is capable of. Five sixes already this evening. Eden Gardens comes alive. 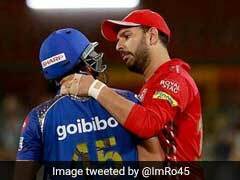 20:36 IST: Nitish Rana and Lynn have to build a partnership now. 20:28 IST: SIX! Once again Uthappa lodges it to the stands. What a sweet sound of the stick. Snaps the wrists and keeps his balance. 20:27 IST: Rahul Tewatia is the new bowler for Delhi. 20:25 IST: SIX! That's a very good shot. 14 off 4 balls. Uthappa hits a 77 metres six. 20:25 IST: SIX! That's big. That's huge. Uthappa is taking the bowler on. Right at the slog and he hits it straight over the leg side region. 20:22 IST: FOUR! That's bludgeoned by Lynn straight to the long on boundary. 20:22 IST: FOUR! Uthappa goes straight and gets his four runs. Plays it with a straight bat over the bowler's head. 20:20 IST: Boult bowls his third over. Superb bowling by him. Good seam position and maintains his line and length. 20:16 IST: Robin Uthappa takes a single off Nadeem's ball. 20:16 IST: TRIVIA! Uthappa has a strike rate of 140 on the powerplay. 20:16 IST: Shahbaz Nadeem is the new bowler for Delhi. 20:10 IST: Boult is back. Superb first delivery by the pacer. Good start to the second over as well. 20:08 IST: Swing and a miss for him. He doesn't need to do this. 20:07 IST: SIX! What a way to open your account. He can make it up very quickly for the dots he has played. 20:06 IST: Lynn tried to hit the short ball but it went nowhere. 20:05 IST: Narine takes a single to bring back Lynn to the strike. Lynn looks shaky. 20:05 IST: Chris Morris is the new bowler for Delhi Daredevils. 20:02 IST: Boult spot on with the first two balls. Maintains the shape and length of the ball. 20:00 IST: Chris Lynn and Sunil Narine open the innings for Kolkata Knight Riders while Trent Boult begins proceedings with the ball for Delhi Daredevils. 19:13 IST: We are moments away from the toss. 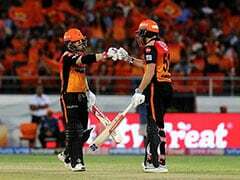 While their five-wicket defeat to Mahendra Singh Dhoni's CSK in a nail-biting game was more down to misfortune, SRH rolled over the purple brigade with bat and ball barring the 12 overs from KKR's spinners which made the modest chase of 139 look difficult. 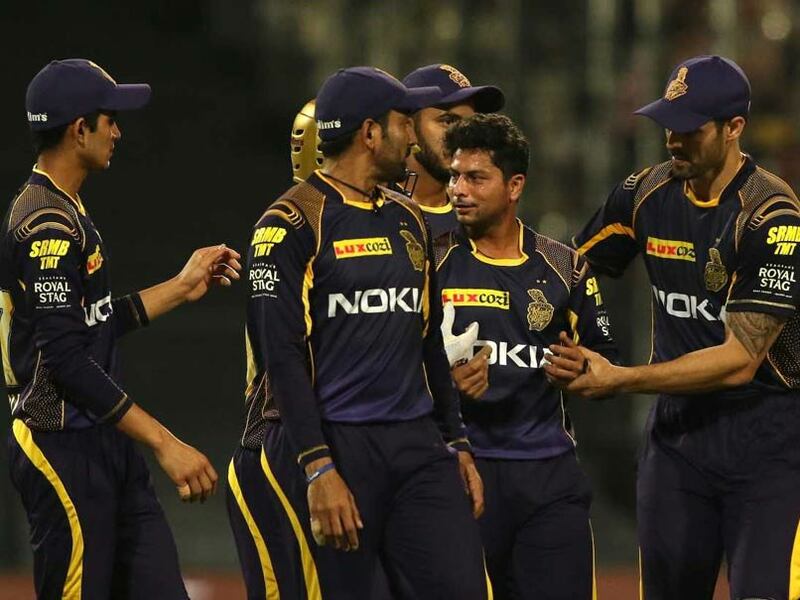 As Karthik rightly pointed out at the post-match press conference on Saturday, KKR's strength lies in their three-pronged spin attack led by mystery spinner Sunil Narine and also has celebrated chinaman Kuldeep Yadav and veteran leggie, Piyush Chawla. 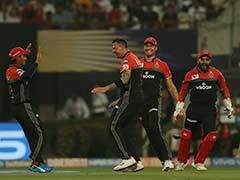 Narine was exceptional against SRH on Saturday, conceding just 17 runs in four overs and also taking the timely wickets of Wriddhiman Saha, who looked good for his 15-ball 24 and in-form Shikhar Dhawan (7).